The purpose of LTI is to connect learning systems with each other and to other service tools. aNewSpring is both LTI consumer and LTI provider. As LTI provider it is possible to run an aNewSpring course in another LMS. Send us an email to support@anewspring.com to request a key and secret. You can set the external ID at the course. Click Settings and at the bottom of the page you will find Advanced settings where you can add a unique id. 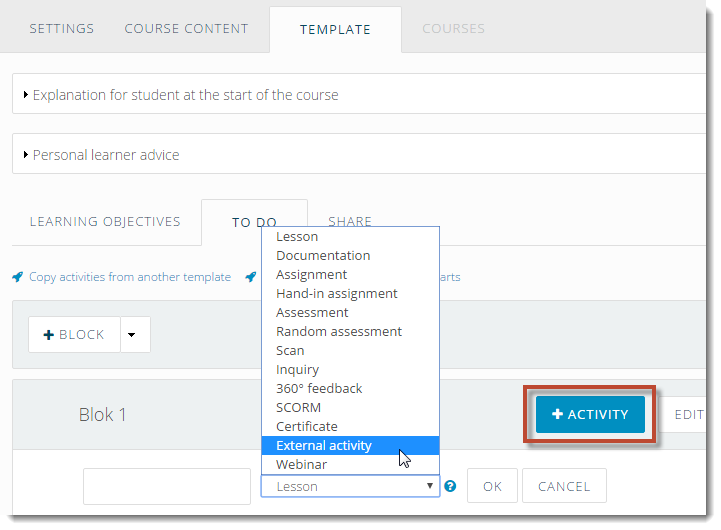 Add a course of another LMS through LTI in aNewSpring. Click in a template +Activity and add a new External activity. 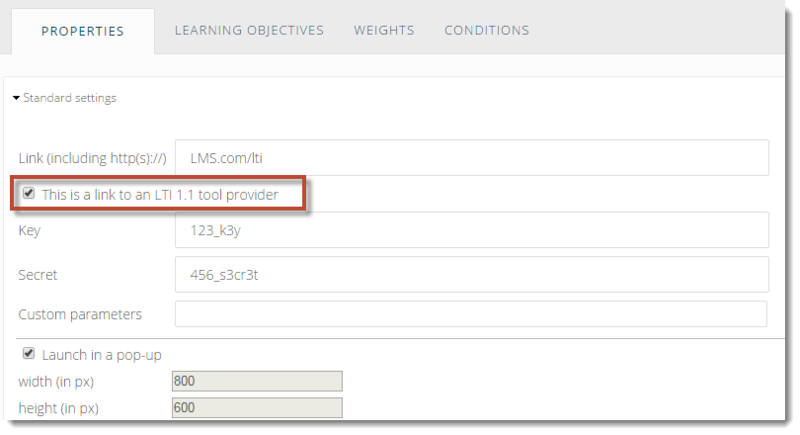 Check the LTI box and enter the link to the other LMS, the key and the secret.